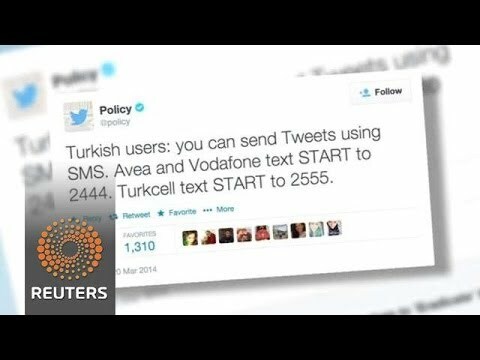 Turkey: Is Twitter Mightier than Prime Minister Erdogan? The word “Twitter,” in Erdoğan’s usage, has already become shorthand for what he calls an “international conspiracy” against him the AKP and Turkey; in actuality, it is a public forum for both his political opposition and his supporters. Three Twitter accounts have been making Turkish headlines and influencing the political landscape ahead of local elections on March 30. The accounts @BAŞÇALAN, @HARAMZADELER333, and @fuatavni are responsible for leaking evidence against Erdoğan and exposing his personal involvement in government corruption and bribery. The accounts are, in fact, among the unnamed targets of the Turkish Twitter ban. But the Twitter ban — which was intensified by a supporting Google DNS ban on Sunday — has only served to increase their followers, who can still access the accounts through widely publicized VPN and SMS workarounds. Whereas @BAŞÇALAN has about 350,000 followers and @HARAMZADELER333 close to half a million, @fuatavni has more than half a million. The popularity of these Twitter accounts represent a growing public sphere of dissent against an increasingly desperate Turkish state. There are currently about 12 million Twitter users in Turkey. According to social media researcher Zeynep Tufekçi, Erdoğan’s goal is calculated, and he aims to consolidate his base by tainting Twitter as being immoral. However, Erdoğan is not just trying to cast Twitter is being immoral, but even “anti-Islamic.” This is a calculated pre-election tactic to lead Erdoğan supporters away from social media sources that have been incriminating the AKP. Who are the people behind these accounts? One of the accounts claims to be an “Ankara insider.” Tweets coming from @fuatavni indicate that someone close to the AKP inner circle, perhaps even a one-time Erdoğan advisor, is providing a constant stream of information targeting the PM and his methods of rule. The Tweets, detailing specific incidents, address the PM directly, ending with haunting refrains such as: “Don’t just be afraid, tremble” or “You’re one of the defeated”. Some of the Tweets of @fuatavni have a religious tone, others are conspiratorial, while others still are menacing such as this one from March 23: “You [Erdoğan] claim ‘They’ve listened in on me, my ministers, my son and my daughter’. If you set up a money laundering ring with your ministers, your son and your daughter, public prosecutors will listen.” Someone, likely with ties to the influential Islamic preacher Fetullah Gülen and with knowledge of the PM’s decision-making and movements is openly exposing the record of his authoritarianism on Twitter. For Turkish “followers,” secular and religious both, Twitter represents justice in a country where the judiciary is no longer independent; it represents an independent media in a country where the government controls the media and imprisons journalists. It represents a means to appeal in a country that passes Internet censorship laws and abuses antiterrorism laws to target lawful dissent and opposition. It is the public square – a safe arena for democratic protest in a country where the freedom to assemble is met with teargas and water cannon. And it represents a space for ethics and morality in a country where the government, reeling from corruption allegations, has lost credibility. All indications are that the Twitter ban – supposedly aimed at boosting the ruling AKP in the coming elections – has backfired. It’s only given further legitimacy to the local opposition and increased international isolation. Members of the AKP from President Abdullah Gül to Deputy Prime Minister Bülent Arınç, have already begun emphasizing that the block will be temporary. The Union of Turkish Bar Associations, meanwhile, has filed a petition to lift the ban on the grounds that it is unconstitutional and a violation of the European Convention on Human Rights. Erdağ Göknar is Assistant Professor of Turkish & Middle Eastern Studies at Duke University and core faculty member of the Duke Islamic Studies Center. Göknar teaches the popular “Geopolitics & Culture from Bosnia to Afghanistan” course in the fall and co-leads the Duke in Turkey undergraduate summer program. Orhan Pamuk, Secularism and Blasphemy: The Politics of the Turkish Novel (Routledge, 2013) is his latest book. He is also a regular contributor to ISLAMiCommentary. See an earlier analysis of Erdogan and the AKP here.